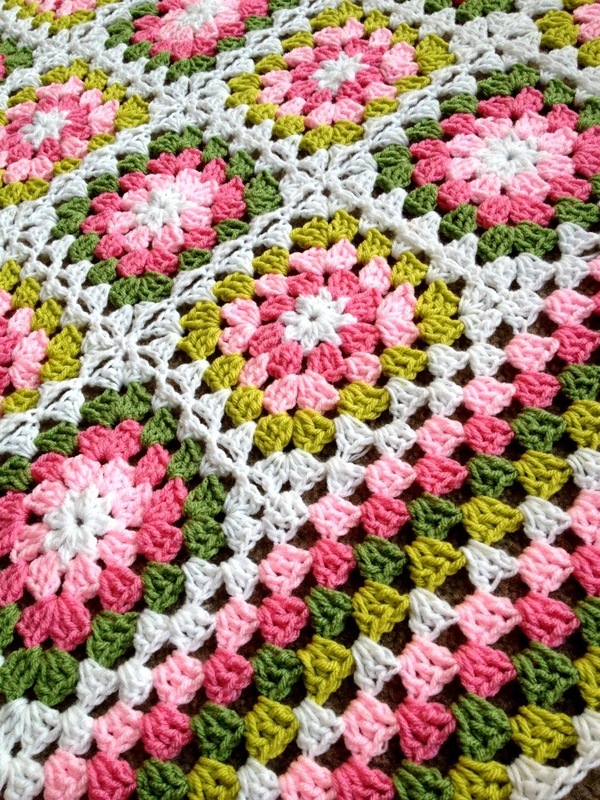 My first Flower Garden Blanket – Lovely pinks and greens. I made this blanket – for the most part – in my car in the car-rider line, picking up my eldest from school. I used the Summer Garden square from Lucy at Attic24, which I love. Her colors are divine, are they not? Only one progress pic – I am trying to take more photos of the process, but I work at night a lot and I start and finish before I have time to snap pics! But I’m working on it! 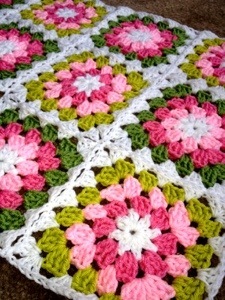 Posted in Framed GardenTagged Crochet, Flower, granny join, Granny square, Green, Kids, Motif, PinkBookmark the permalink. I have been inspired by your beautiful blanket and would like to make one of my own. Please could you tell me how you are joining the squares as it doesn’t look like they are sewn together as such but rather part of the pattern. Hi there! This is worked by using “join as you go” on the final (white) round of the square. If you follow the link to the pattern source blog Attic24, she has a tutorial. ❤️❤️ Happy crafting to you!